UPDATE – The first round of the auction ended on June 30th with no bids. With a $115,800 starting bid, or a $151,000 Buy It Now, it seems that may have kept Bird fans away or was it the option of “Local Pickup” only (Colorado) or the seller having a feedback of (2). We’ll keep an eye out on LOT 2 and 3 or see if Lot 1 gets reposted. 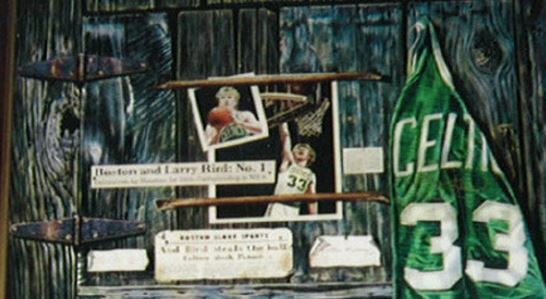 It’s being called the biggest Larry Bird Collection of all-time, just 675 items that range from signed basketballs, pictures, shoes, signed folding chairs, the list goes on and on and its all going on the auction block June 20th. The collections owner, Randy Switser, has teamed up with Boston Sports Memorabilia to auction off these items via Ebay over the next ten days.